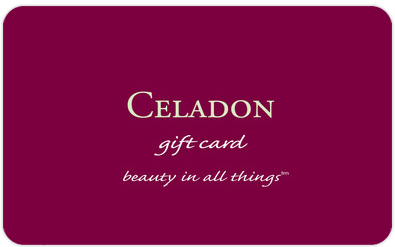 Pamper that special someone with a gift card from Celadon! Our beautifully-wrapped Gift Cards and instant Gift Certificates may be used for any spa treatment, hair style and cut, manicure or pedicure, or to purchase products from our retail boutique. Available in various denominations, they make a perfect gift for all occasions. Do you need a gift right now? Print or email a digital gift certificate for that special someone. Lots of designs to choose from.